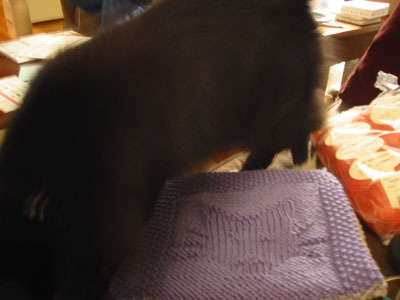 My first Critter blanket, with my own critter trying to steal the limelight. As usual. I hope to post this pattern for use by fellow Critter Knitters -- I'm just waiting for one small piece of information before I write it up!